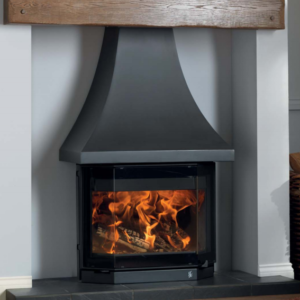 This magnificent example of a wood burning boiler has a huge viewing window allowing you to make the most of the excellent flame pattern. 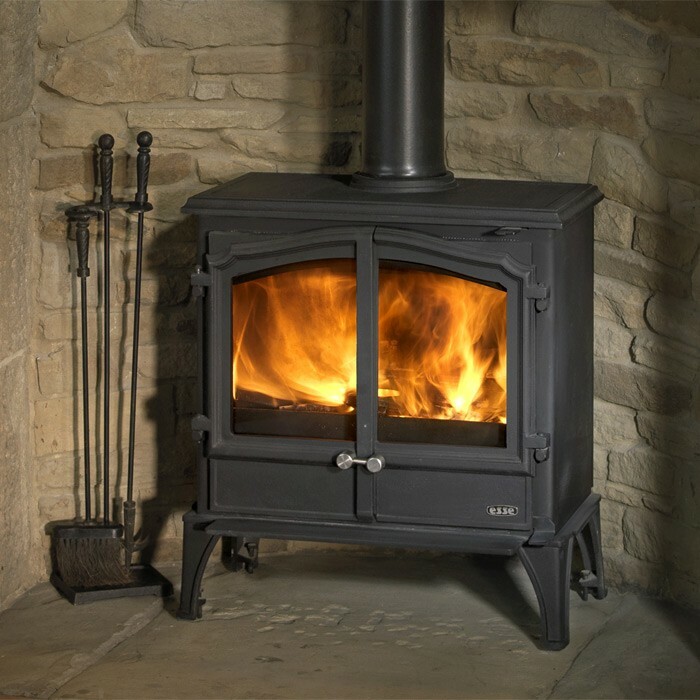 FREE STOVE FAN, 1000mm flue pipe, register plate, carbon monoxide detector, black fire cement, coal shovel and companion set available with this stove. 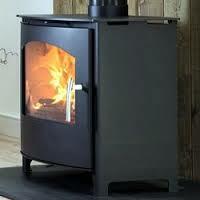 The Arada Ecoboiler Wood burning Boiler Stove is a state of the art wood burning boiler stove. 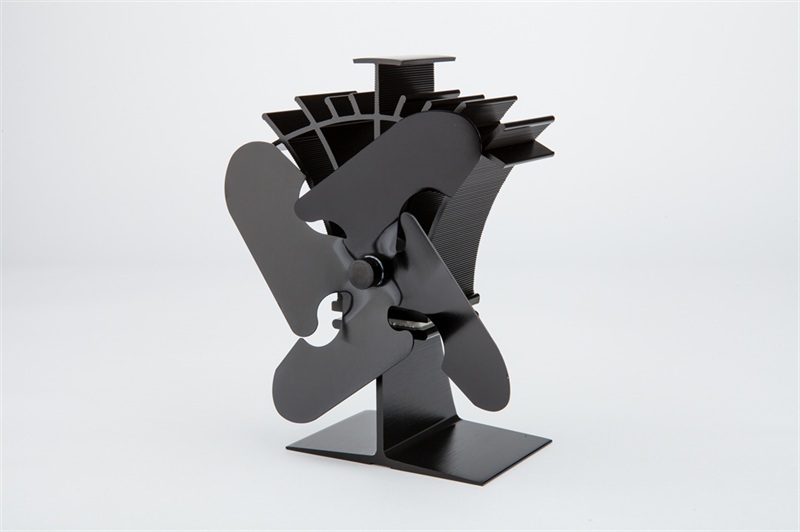 The Ecoboiler is also available with a choice of colours to suit any decor. 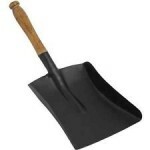 This coupled with its stylish design make it irresistible for the energy conscious home owner. The Arada Ecoboiler Wood burning Boiler Stove is extremely efficient with up to a 3 bar operating pressure. 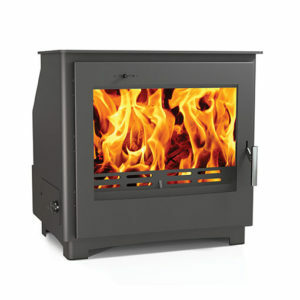 The Stove will throw out 11.8kW of output to water with a 4kw to 14kW operating range. 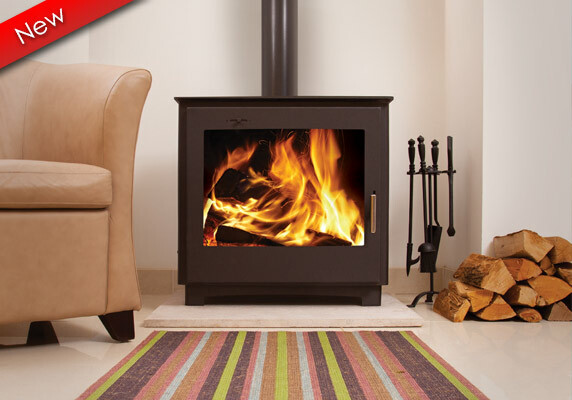 This robust wood burning boiler stove also comes with a 7 year peace of mind guarantee. The entire Ecoboiler range has been designed to incorporate features that contribute to high performance and efficiency. Through the use of computer fluid dynamics (CFD), the internal flow path has been increased meaning the water is in contact with the boiler for longer, thus providing hotter water more quickly. 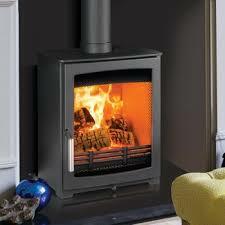 To see more of the Aarrow stove range, click here.